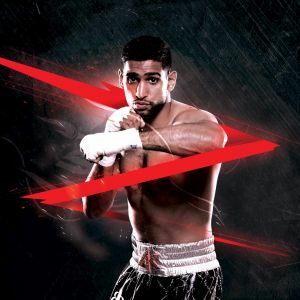 Blockchain technology has entered the boxing arena with the signing of a new sponsorship agreement between investment specialists Cryptech and Britain’s former world champion, Amir Khan. The three-fight partnership, announced from Cryptech’s Dubai office today, has been launched ahead of Khan’s eagerly awaited welterweight bout against Colombian Samuel Vargas at Arena Birmingham in the UK on 8 September. It will be the first fight back at 147lbs for more than three years for Khan, the former unified light-welterweight world champion who held the WBA (later Super) title from 2009 to 2012 and the IBF title in 2011. Cryptech provides investment opportunities to individuals and institutions who want to explore Blockchain options, investing in ideas and start-ups utilising the technology as well as actively trading the top four cryptocurrencies in the world, Bitcoin, Ethereum, Ripple and Litecoin. “This is a very significant fight for me because 147 is my preferred weight and I want to climb back up the world rankings,” said Khan, who returns to action in a British ring under the guidance of highly respected trainer Joe Goossen. The new partnership with Khan – highlighted by Cryptech branding on the fighter’s shorts, robe and training kit – marks the first major sports sponsorship investment for the Blockchain technology firm, which has offices in Dubai and London. “We are delighted to form an association with Amir,” said Omar Jackson, Director of Cryptech and Partner of Berkeley Assets. The company’s team of experts utilise a two-pronged strategy to deliver consistent gains across cryptocurrencies and Blockchain. In June 2018, it was announced that private equity firm Berkeley Assets had acquired Cryptech, which had recently expanded its reach globally, attracting interest from investors across the world. A Dubai-based private equity firm with investments in real estate, hospitality, logistics and technology, Berkeley Assets earlier this year launched its own entry into sports sponsorship by signing an agreement with professional snooker's new Masters champion, Northern Irishman Mark Allen.